Brian Cox and Robin Ince take to the stage at Glastonbury, joined by comedian Matt Kirshen, musicians KT Tunstall and Nitin Sawhney and scientists Lucy Cooke and Trevor Cox. Brian Cox and Robin Ince take to the stage at Glastonbury Music Festival. They are joined by comedian Matt Kirshen, musicians KT Tunstall and Nitin Sawhney and scientists Lucy Cooke and Trevor Cox. 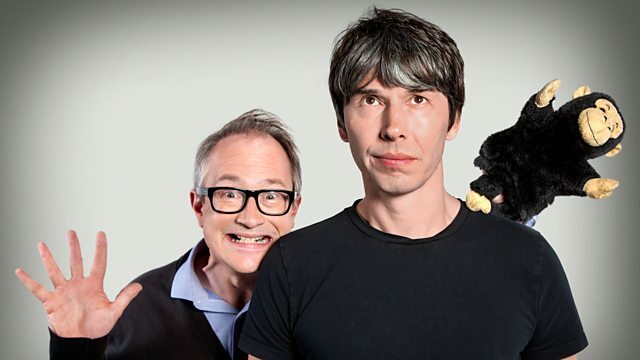 No Julie Andrews for this special edition of the long running science/comedy show, although music does take centre stage as the panel discuss the evolution and science of why and how humans are programmed to love everything from the Rolling Stones to Rap to Rachmaninoff. They'll also be looking at whether there are any examples of music in the animal kingdom and whether gorillas really hum.